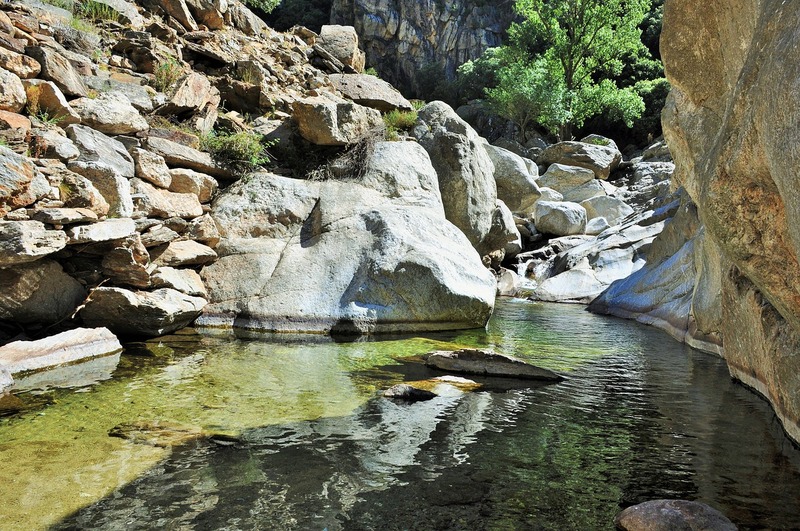 In a wild site, this uncharted and preserved river is the ideal place for an introduction to canyoning. After sailing on the river Vézère, tramp at the heart of Castelnaud castle or exploring the caves of Rouffignac, take the time to enjoy the nature that offers the Lot or more precisely, the Dordogne valley. Indeed, you can not leave the Dordogne without having tasted the scenery and the sensations offered by canyoning. This outdoor activity is a must in the Dordogne. The canyons of Dordogne are among the most famous for canyoning descents. So let yourself be carried away by the richness of these canyons and be one with nature. Canyoning is an outdoor activity, which consists of going down the canyons freely. It should be known that the practice of canyoning in the Dordogne knows a great success because of its extraordinary nature and its recognized sites like Sarlat-La-Caneda for example. Enjoy the professionalism of our teams to spend an ideal moment for an introduction to canyoning safely. This walk in the middle of the canyons of the Dordogne valley will be for you a real change of scenery: after a short walk in the heart of the forest, discover the sensations through a succession of small jumps, slides, waterfalls, swimming in natural pools and aquatic hikes. This canyon does not require a particular physical condition. A fun experience to live with family, from 12 years. You will see it for yourself: guaranteed sensations! Helmets, neoprene suits and all equipment will be provided, to guarantee you a safe canyoning descent. You just need to have good shoes. To know how to swim is obligatory. However, some precautions must be taken to secure your canyon descent. To prepare your descent is to ensure your safety. First of all, it is important to have shoes adapted to your canyoning descent. The rocks are slippery, and the forest and aquatic walks require some grip and resistance. That’s why we recommend walking shoes or sneakers that do not slip. Also plan a small snack and a little water for your descent. Summer is hot in the canyons, drinking is always advisable. Avoid overloading yourself with unnecessary equipment for your descent, such as cell phones, cameras or cameras. This kind of material can be quickly lost or broken, so take the least risk possible. Finally, be aware that the descent into canyoning is primarily a leisure activity, so if you are well prepared, you will just enjoy it by following all the advice of your guide. Our instructors know the canyons as their pocket. Canyons are a playground from the moment you respect the rules and descents. So trust your guide, and everything will be fine! Helmets, neoprene suits and all equipment will be provided, to guarantee you a safe canyoning descent.